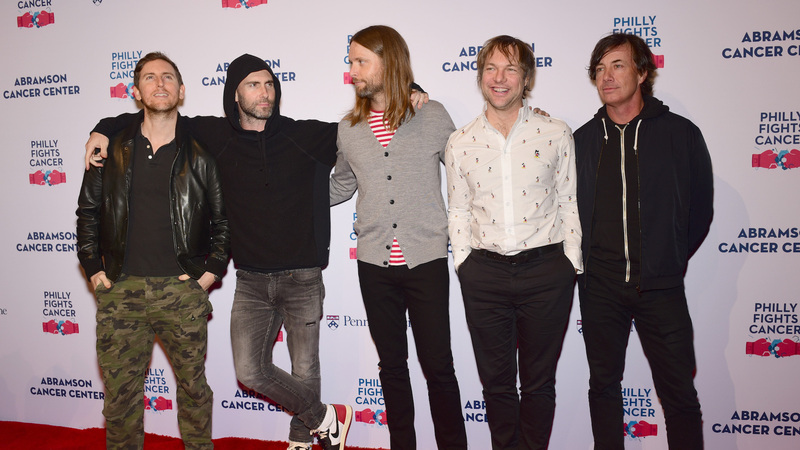 In September, Us Weekly reported that Maroon 5 will play the Super Bowl LIII Halftime Show in 2019, though no one from the band nor any representatives for the NFL had confirmed the news even two months later. In fact, when directly asked about the supposed gig during an appearance on The Ellen DeGeneres Show on Friday, lead singer Adam Levine did his best to just talk around it rather than give a real answer. DeGeneres agreed, noting that Levine can’t say anything about whether or not his band will perform at the halftime show because nothing has been officially announced. There’s no word yet on when an official announcement is coming, but it’s a few weeks overdue, based on past years. Lady Gaga announced her 2017 halftime performance on her Instagram in September 2016, per E! News, and Justin Timberlake’s 2018 performance was confirmed by the NFL in October last year. So, what’s with the delay for the 2019 show? Just let Levine gush in real time, NFL! We all know Maroon 5 is probably going to headline, so why not make it official?